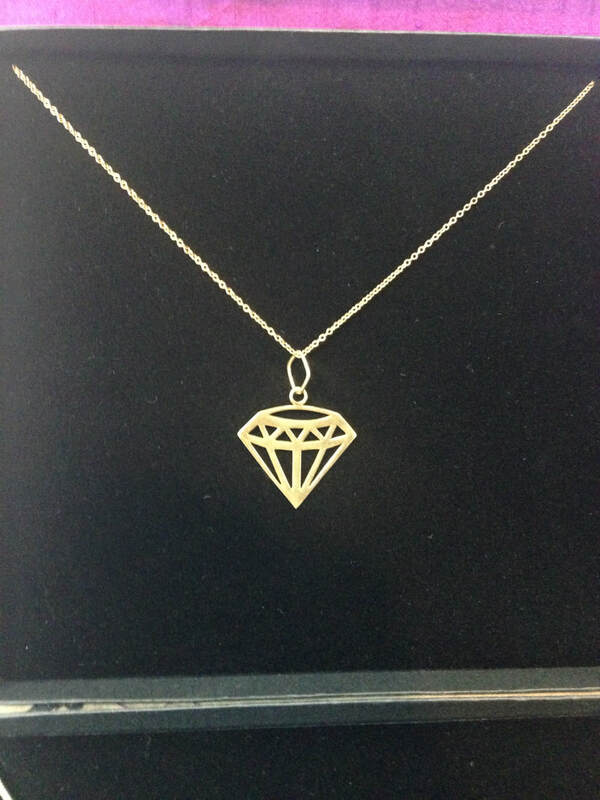 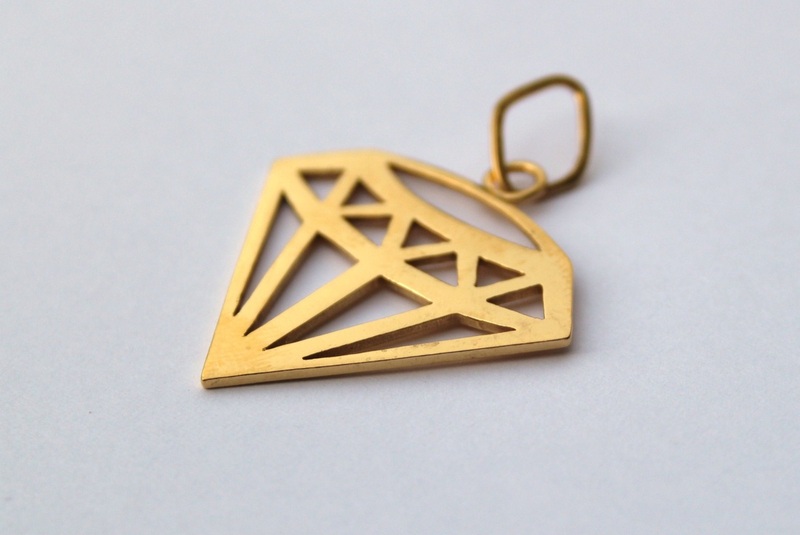 This geometric diamond shaped pendant is a real eye catcher. It is made from solid silver and then plated in 24ct gold. 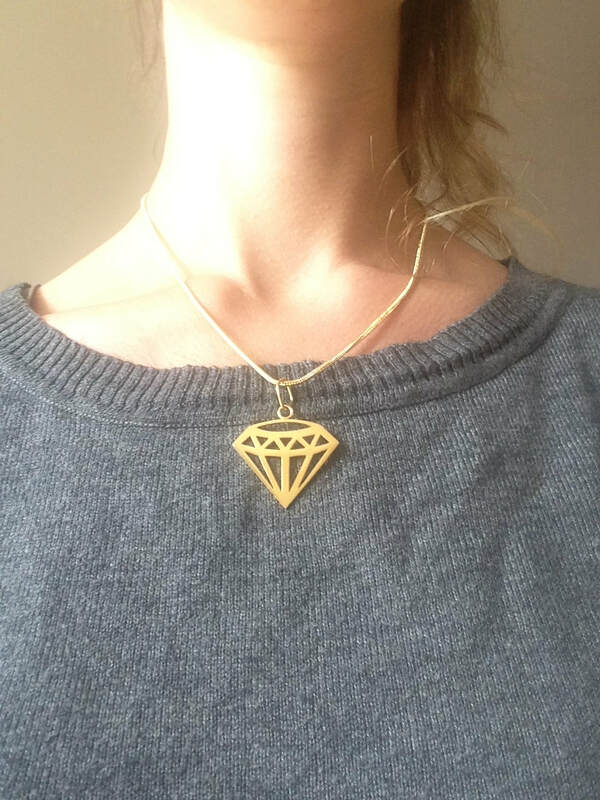 It is part of my geometric diamond collection, which includes necklaces, bracelets, pendants, brooches, diamond studs and drop earrings. Dimensions: Each diamond is 34mm x 30mm in 1mm thick solid silver, then plated in 24 ct gold.